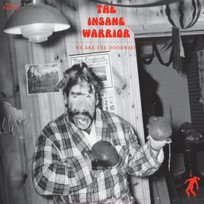 Vinyl archaeologist and all-around badass DJ/producer RJD2 has a new side project, The Insane Warrior. His new album, We Are the Doorways has it’s own website, and you can listen to the album at Spinner.com. The album was influenced by John Carpenter (you can feel that dark ‘n trippy Assault on Precinct 13 flavor) and Brian Eno, and it features spatial instrumentals with a heavy sci-fi-synthy horror film vibe. RJD2 fans will appreciate the break-heavy, cinematic feel that Ramble John Krohn always brings to the table. There’s a little more moodiness to this album, but it’s another solid effort from a producer who’s not afraid to take risks and show some range. Print article This entry was posted by Chris Stout on February 4, 2011 at 11:25 am, and is filed under Videos. Follow any responses to this post through RSS 2.0. Both comments and pings are currently closed.